Morihei Ueshiba founded Aikido as his vision of a budo that could bring more harmony and unity to people and society. Ueshiba, popularly called “O-Sensei” by the practitioners of Aikido, consolidated his training background in various arts to form Aikido. The arts that can be verified in his training include Tenjin Shin'yo Ryu Jujutsu under Tokusaburo Tozawa in 1901, Goto Ha Yagyu Shingan Ryu under Masakatsu Nakai from approximately 1903 to 1908, Judo under Kiyochi Takagi in 1911, and Daito Ryu under Sokaku Takeda beginning in 1915 in Hokkaido. Other influences, which can be seen in Aikido, come from Kashima Shinto Ryu, primarily a sword art. Ueshiba sent students to train in this art and he observed the training. The kata taught by Morihiro Saito are almost identical to the kata in Kashima Shinto Ryu. There is some possible influence from Yagyu Shinkage Ryu methods as a result of Ueshiba’s student Kosaburo Gejo, also a student of that ryu. Daito Ryu, however, was the major technical influence in the development of Aikido. Ueshiba studied Daito Ryu in seminar settings under Takeda, as well as for an extended period of time in Ayabe. Ueshiba was one of the most distinguished students in the art; he was awarded the Kyoju Dairi certification in 1922, the highest certification issued at that time. While the popular mythology of Daito Ryu origins claims to go back to Emperor Seiwa in the 800s, research is unable to confirm the historical existence of Daito Ryu prior to Takeda Sokaku. Stan Pranin, editor of Aikido Journal, has been a leading figure in the research of the history of Aikido and Daito Ryu. Pranin is responsible for much of the historical discoveries with the help of Sokaku Takeda's son, Takeda Tokimune, and the current headmaster of Daito Ryu, Kondo Katsuyuki. Daito Ryu is most likely a synthesis of Takeda’s martial experiences, based on his studies of numerous arts in the Aizu region of Japan. Since there are no verifiable historical references to prove otherwise, we may never know the true origins of Daito Ryu. What is known is that Takeda was a highly skilled martial artist from the Aizu region and was involved with many highly ranked budoka of the era. Among these were Taiso Horikawa and Kotaro Yoshida, who was responsible for introducing Ueshiba to Takeda. More of Takeda’s history can be found on the Aikido Journal website. The Omoto Kyo religion and Onisaburo Deguchi heavily influenced Aikido philosophy. 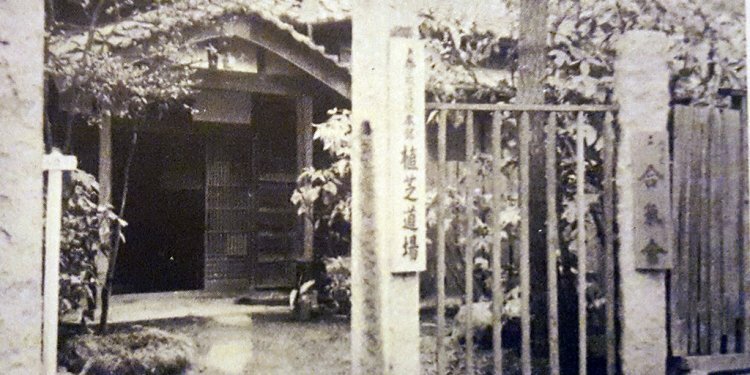 Ueshiba lived and taught in the Omoto community in Ayabe from 1920 to 1927 as a close supporter of Deguchi. The Omoto Kyo had several conflicts and incidents with the Japanese government as a result of their beliefs. For more on the Omoto Kyo, visit the Aikido Journal website. At the urging of his supporters, such as Admiral Isamu Takeshita, Ueshiba moved to Tokyo in 1927. He taught in various locations and in 1931, he established the Kobukan Dojo. During this time Ueshiba slowly separated from the Daito Ryu and Takeda, and he began calling his art “Aiki Budo.” The Kobukan Dojo remained active, while Ueshiba also taught at military academies, until his decision to retire to Iwama in 1942. Some of the better known aikidoka such as Rinjiro Shirata, Gozo Shioda, Minoru Mochizuki and Koichi Tohei trained during this time. The foundation of modern Aikido developed in Iwama, post-WWII. Ueshiba spent the majority of his time in Iwama in training, farming, and personal meditation. Ueshiba stated it was during this time that he felt he perfected modern Aikido. Well known aikidoka such as Morihiro Saito and Hiroshi Isoyama studied during this time period. In the later 1950s O-Sensei gradually began to travel more often to Tokyo and the Kansai area teaching Aikido. In 1961 he visited Hawaii with Nobuyoshi Tamura and Koichi Tohei to teach and celebrate the opening of the Hawaii Aiki Kai. Ueshiba received the Medal of Honor with Purple Ribbon in 1960 and the Order of the Rising Sun 4th Class in 1964 for his efforts in the founding and spreading of Aikido. He spent his last years in Tokyo and passed away in April 1969 of liver cancer. For more on Ueshiba from Aikido Journal, please visit their website and online encyclopedia of Aikido. The popularity of Aikido in the western world was due to the Aikikai (founding school of Aikido) sending young and charismatic yudansha abroad to teach. Among these were popular, well-known aikidoka such as Koichi Tohei, Yoshimitsu Yamada, Mitsunari Kanai, Akira Tohei and Kazuo Chiba. Tohei in particular was one of the strongest influences on the growth of Aikido outside of Japan, particularly in the United States and Hawaii. Aikido established firm roots in the United States when Tohei's students in Hawaii — Isao Takahashi, Ben Sekishiro, Tokuji Hirata, Clem Yoshida, Roderick Kobayashi and others — relocated to California in the late 1950s and early 1960s. Aikido in Hawaii continued to flourish with teachers such as Nonaka, Yamamoto, Yoshioka, and Suzuki. For more on Hawaii's Aikido history, see and Aikido Hawaii. Also active in the United States were Yoshinkan Aikido instructor Lloyd Eugene Combs in California and Tomiki Aikido instructor Jack Mumpower in North Carolina. Other Tomiki instructors arriving in the United States in the1960s were Seiji Tanaka and Tatsuya Kibushi. Today, Aikido is a multi-faceted art with numerous groups teaching numerous variations of Aikido. Aikido styles range from extremely soft and passive to extremely vigorous, philosophy-oriented to non-philosophical, and all variations in between.